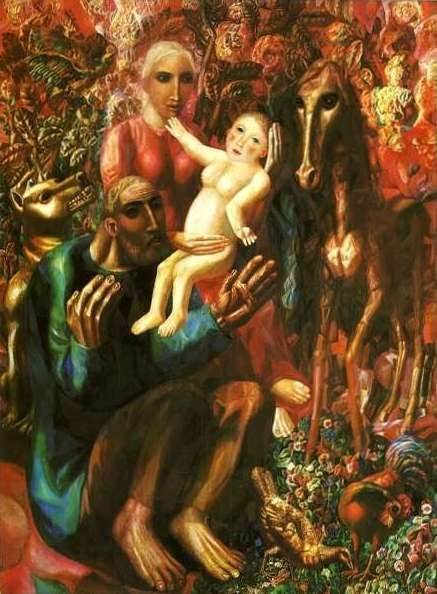 Peasant Family is a painting of 1914 by the French Artist Pavel Filonov (1883–1941). The ink painting is drawn on Analytical Realism style and based on religious painting genre. 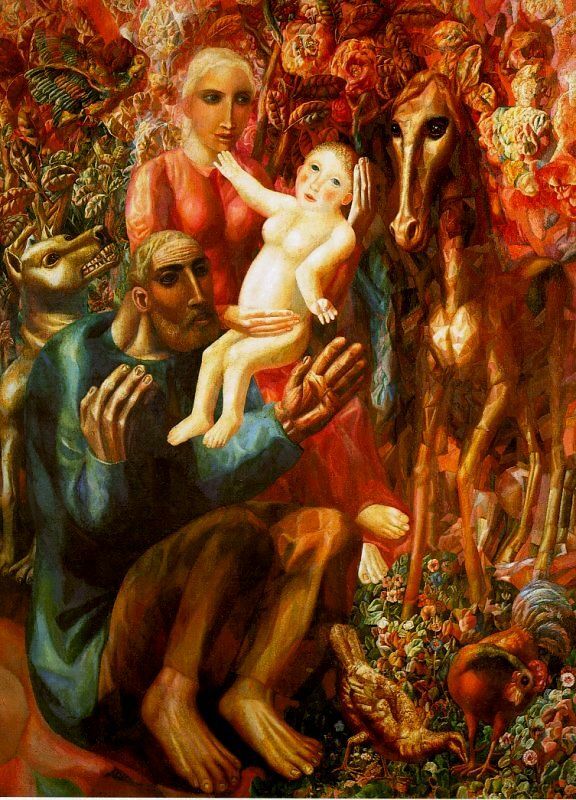 It is an earlier work by Filonov and is housed at Russian Museum, St. Petersburg. The painting represents a Peasant Family, also known as God Family. It illustrates one of the tenets of his “Ideology of Analytical Art” text, that states that the each time the brush makes contact with canvas, it records the inner psychical processes taking place in the artist. This artwork belongs to his Towards a Universal Blooming cycle of paintings. Do you want to buy a giclee print on cotton canvas of this artwork from Pavel Filonov ? For just a little more than a print you can have a hand made reproduction of a painting of Pavel Filonov. Study 50 Test 2 flashcards from Michael N. on StudyBlue.